All projects are categorized. 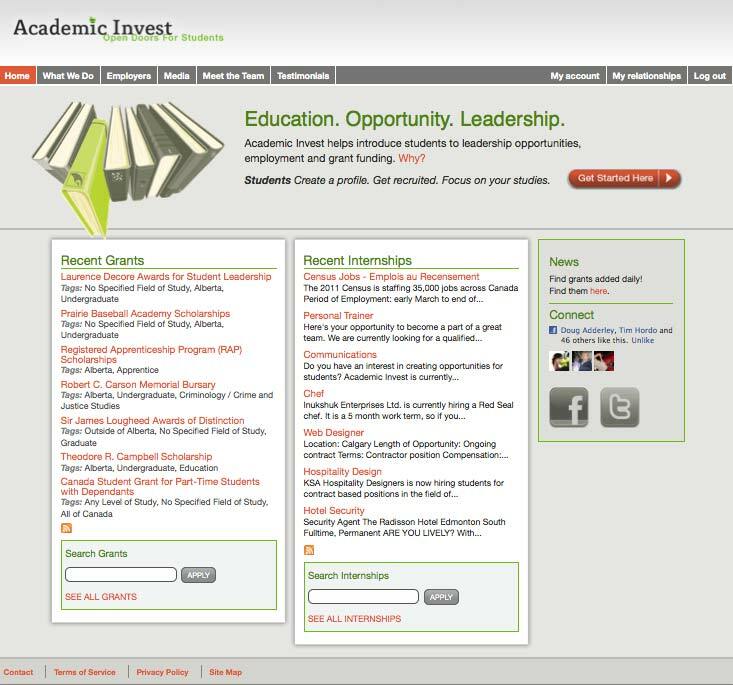 Click Here to see the categories. 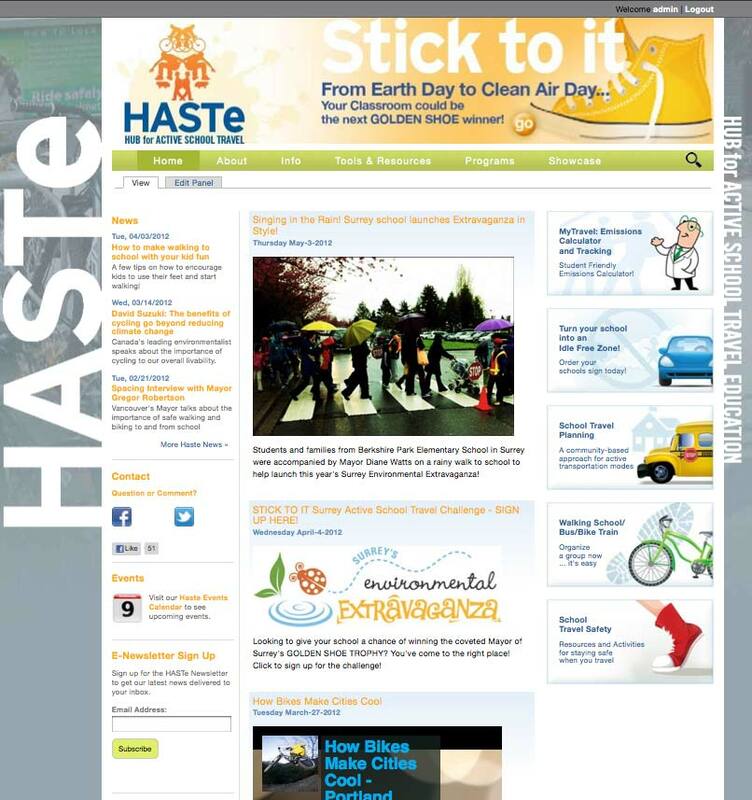 This is another complete reworking of the www.hastebc.org site. Graphics supplied Passion for Action. 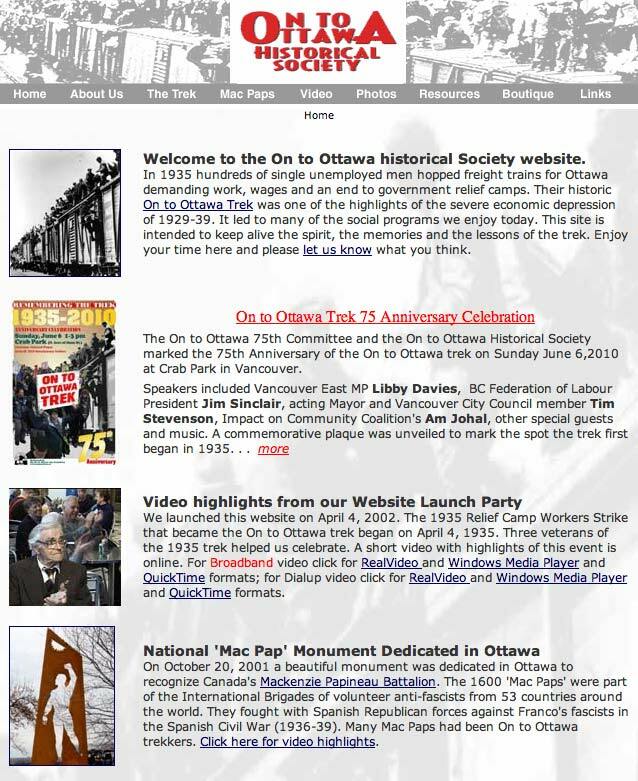 This site has been up since 2008 and started off as a Drupal 5 site. It features geo-location of affiliated projects and custom route mapping. 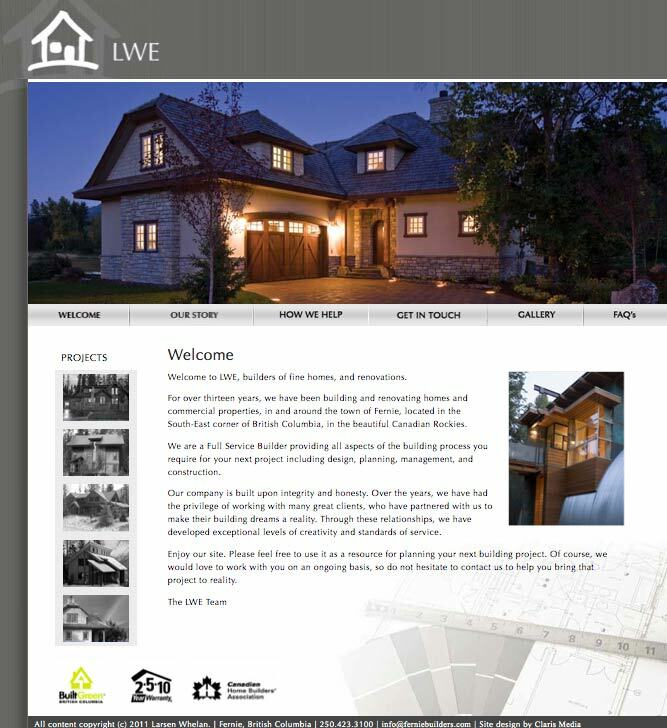 The site design was created by Vanessa Croome of Claris Media in beautiful Fernie, BC. I designed and built the html/css. This is a Claris Media site. 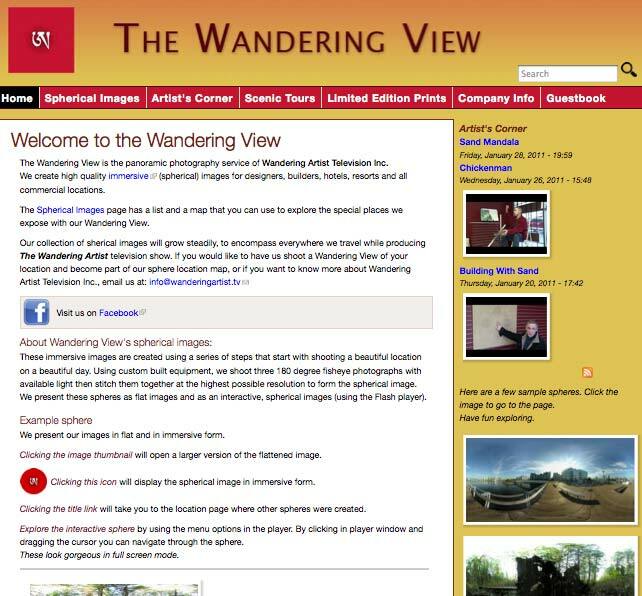 This was an existing Drupal site that I re-themed. This is a Brad Hornick site. I inherited this site from another Drupal developer. I extended the functionality. 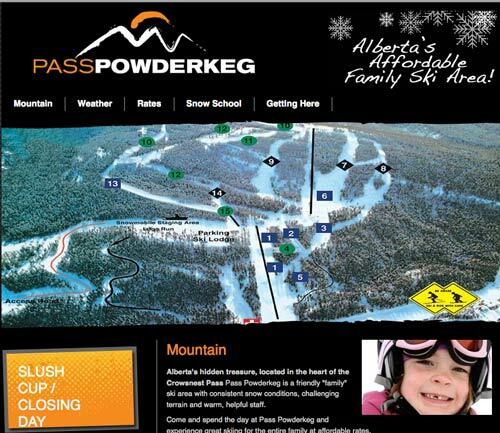 This is another site that I did for Passion for Action (they supplied the graphics). Their partners were the Honeywell corporation and the Kingston General Hospital. 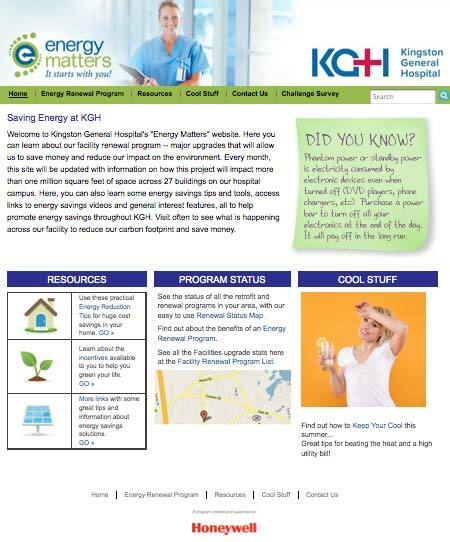 This site was designed to promote the Energy Awareness program within the hospital. This was another very quickly done site for Alexandra Morton. 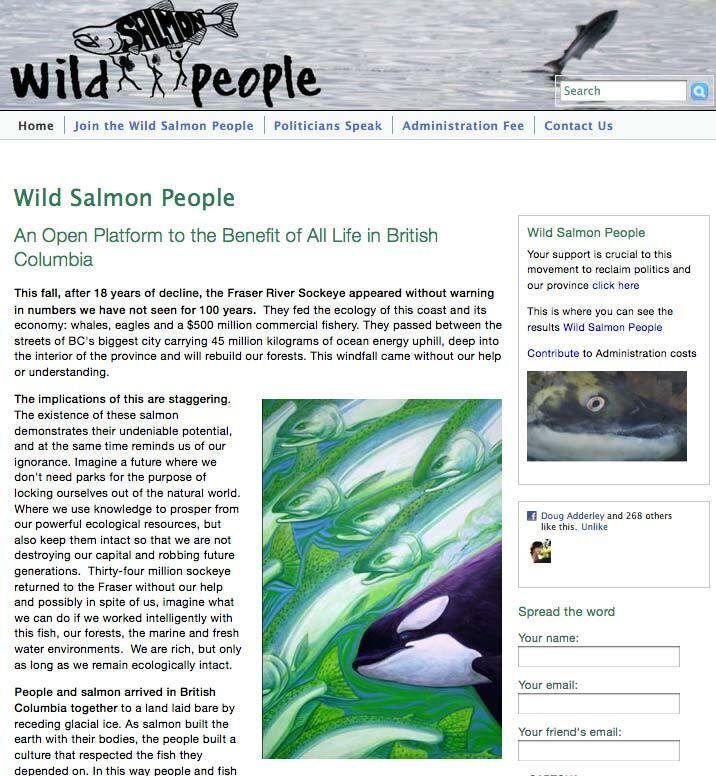 It was done in aid of her campaign to preserve the West Coast marine ecology. 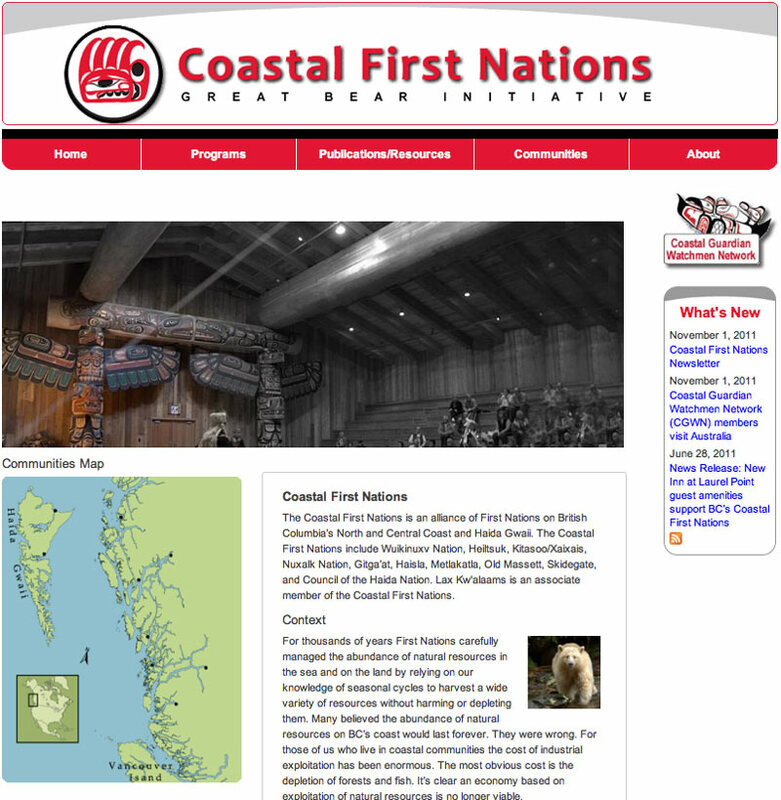 The site features an online petition and donation functionality (übercart).